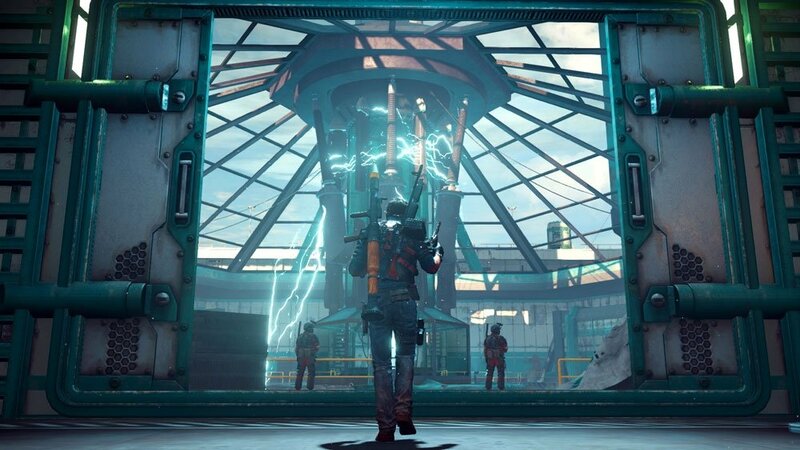 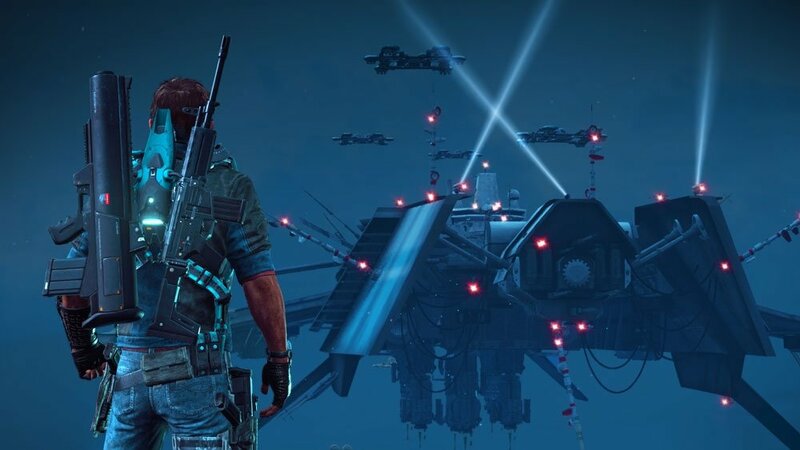 Just Cause 3: Sky Fortress is available now! 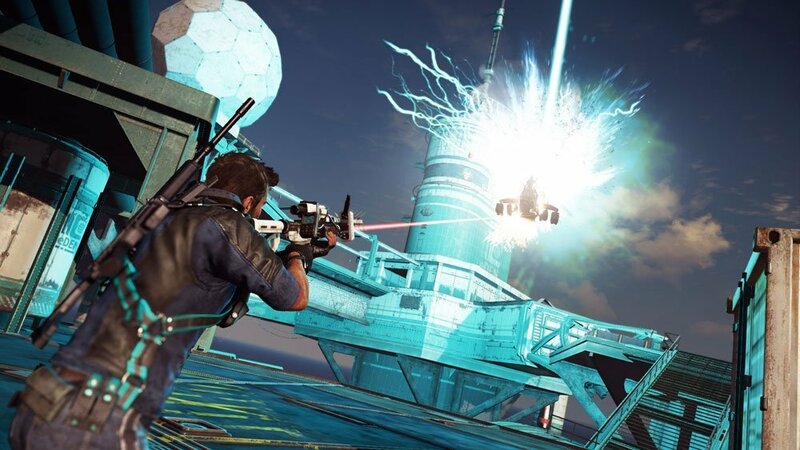 Just Cause 3: Sky Fortress is the first PDLC pack from the Air, Land & Sea Expansion pass. 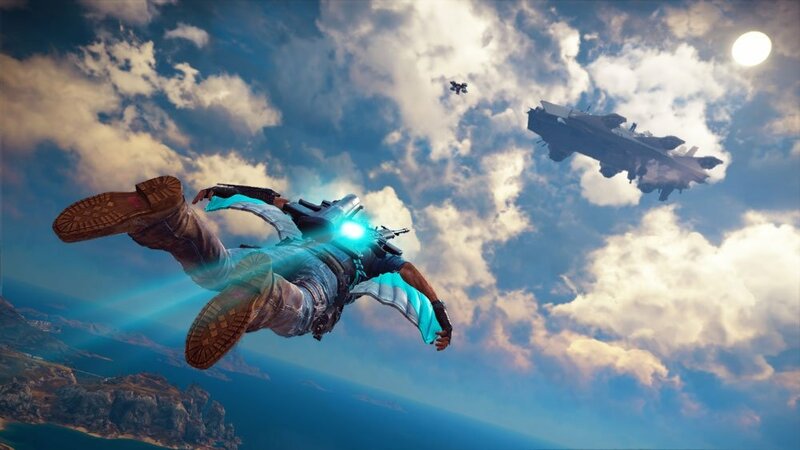 Become the master of the skies with Rico's all new and fully armed, Bavarium Wingsuit. 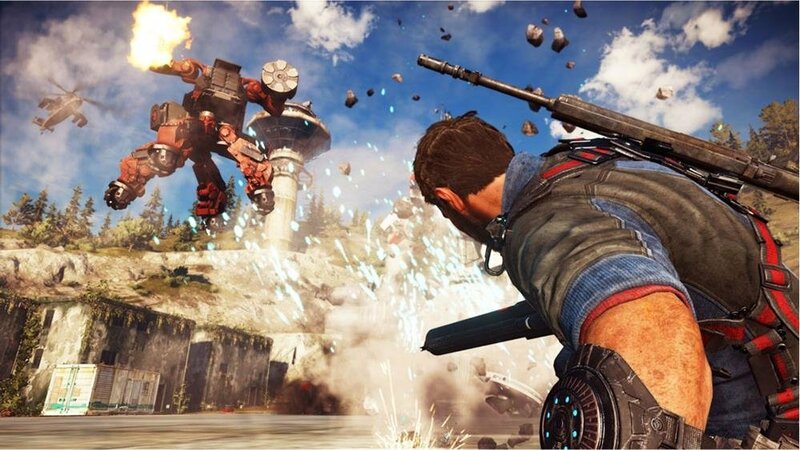 Save Medici from the threat of the terrifying Sky Fortress and its army of deadly robotic drones. 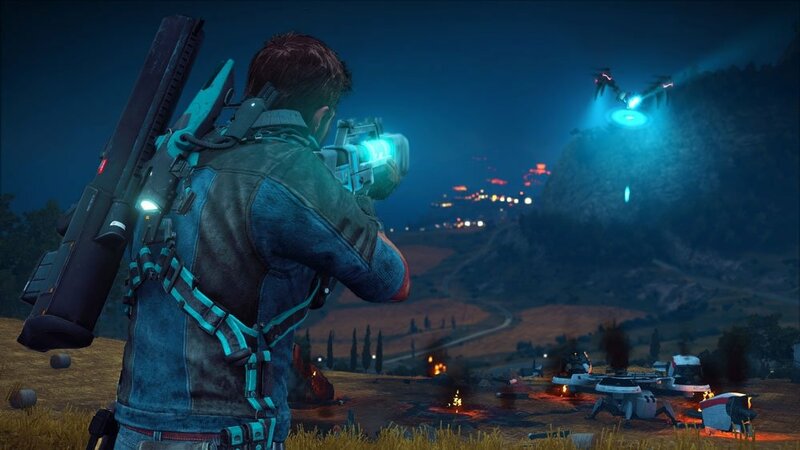 This content pack includes new missions, challenges, the "Bavarium Splitter" assault rifle and the "Eviction" personal defense drone, all of which can be carried over into the main game. 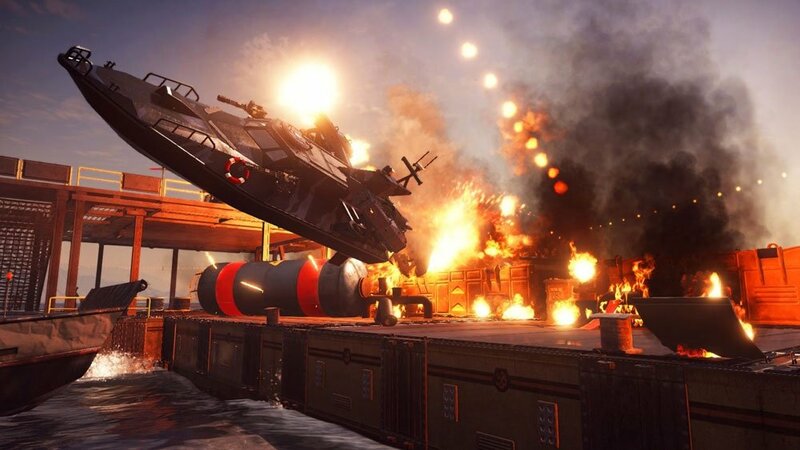 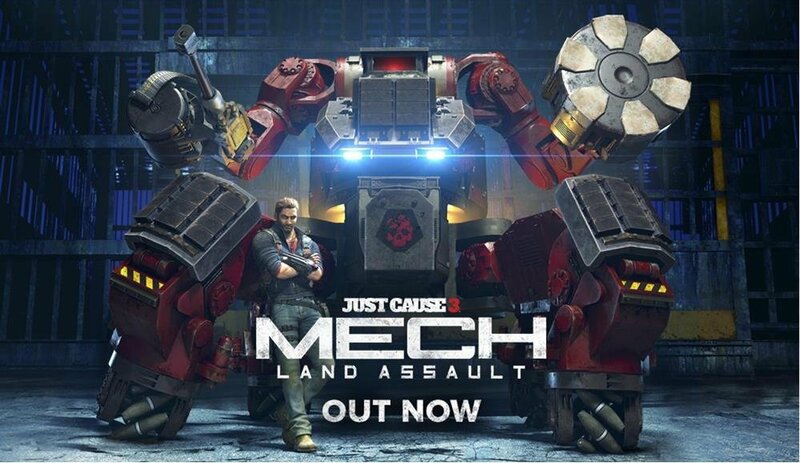 Just Cause 3: Mech Land Assault is available now! 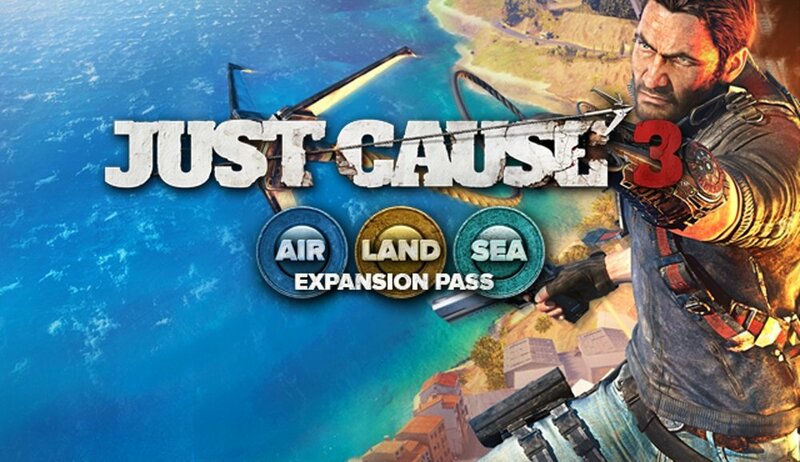 Just Cause 3: Mech Land Assault is the second PDLC pack from the Air, Land & Sea Expansion pass. 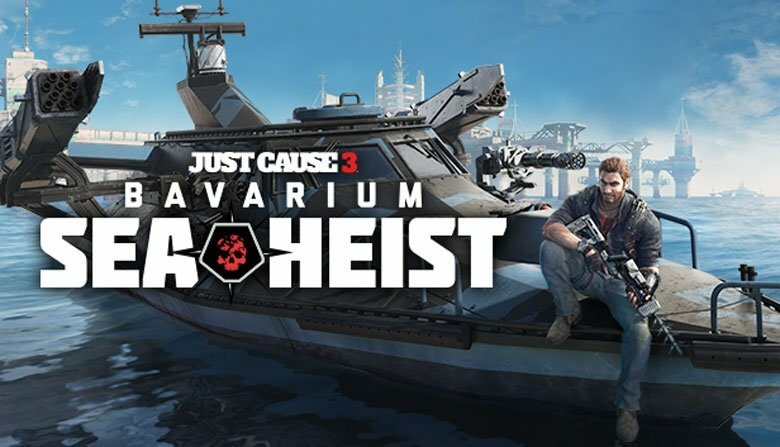 Infiltrate the mysterious secret island of Lacrima to liberate rebels held prisoner by the ruthless soldiers of the Black Hand. 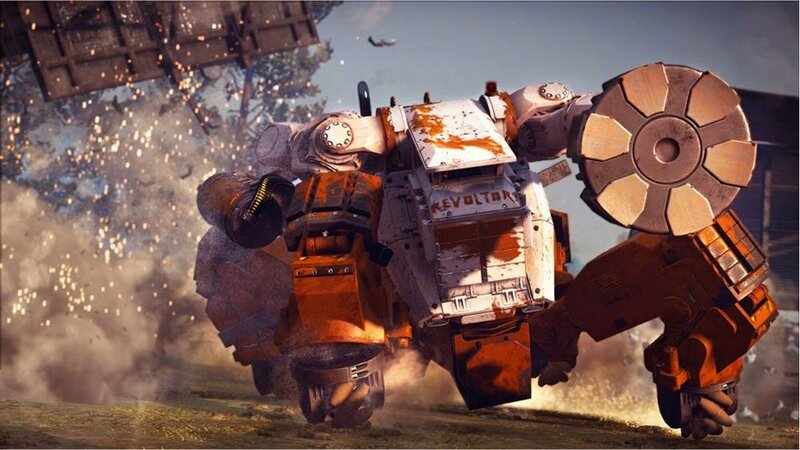 Hijack powerful Mechs and use their incredible Gravity Weapon to hurl and smash the enemy into pieces. 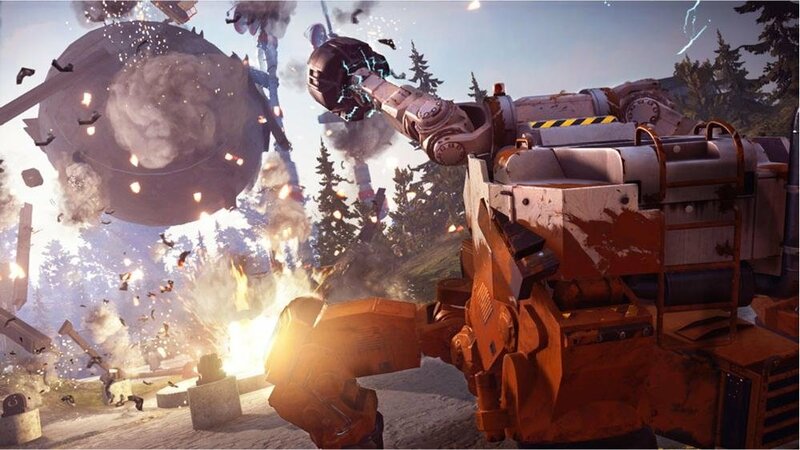 This content pack includes a brand new island, missions, challenges, two heavily armed Mechs equipped with the GRIP Gravity Weapon, the Bavarium Power Core energy rifle and a Rebel Mech buddy, all of which can be carried over into the main game. 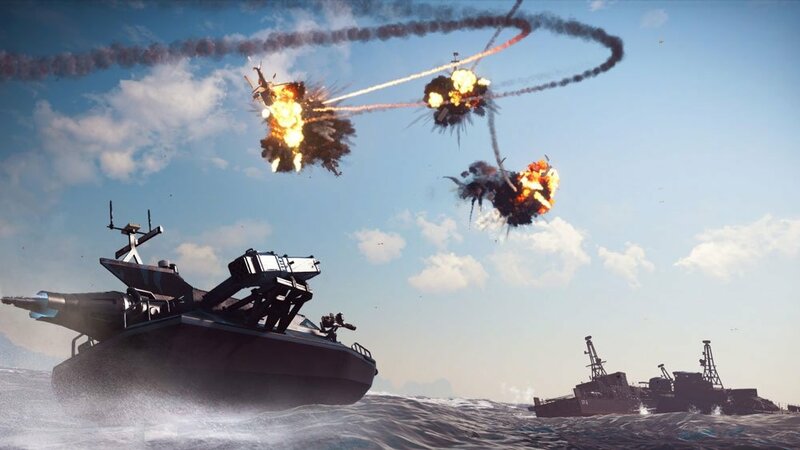 Just Cause 3: Bavarium Sea Heist is available now! 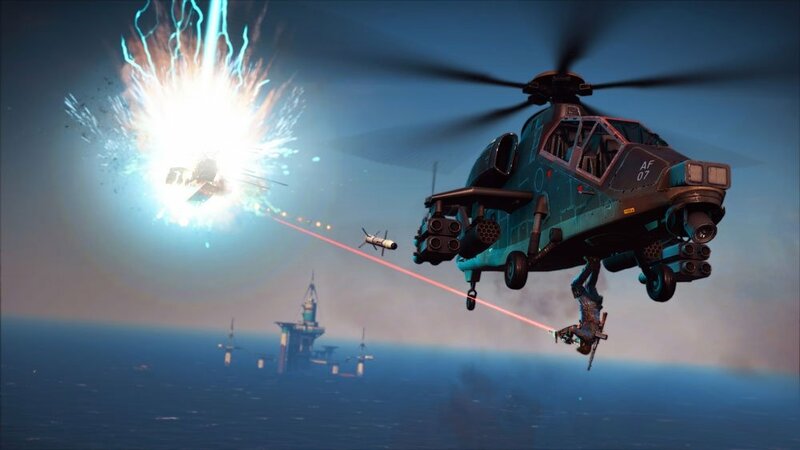 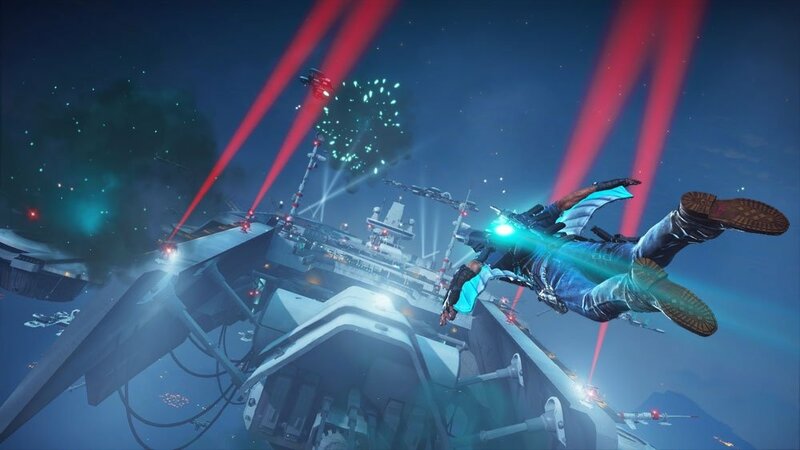 Just Cause 3: Bavarium Sea Heist is the third PDLC pack from the Air, Land & Sea Expansion pass. 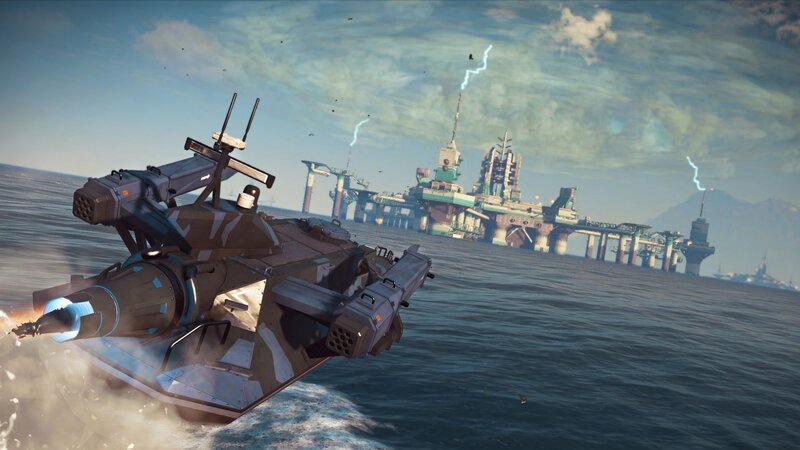 With your devastating new rocket boat, brave the dangerous waters of West Medici and infiltrate the Stingray, a mysterious research facility, home of the rarest and strongest weapon ever created by the Eden Corporation.